Enjoy a lively narrative and over 200 slides in this hour-plus presentation. 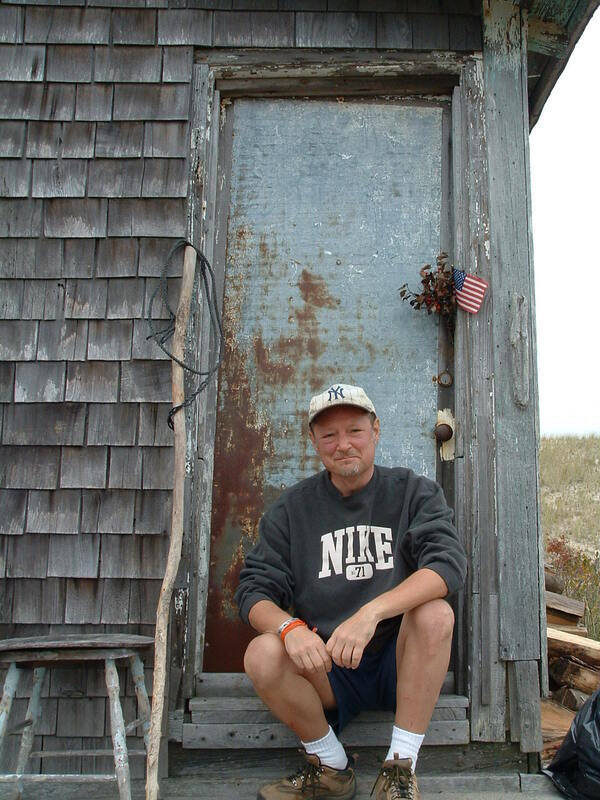 The Dune Tramp, an engaging writer and photographer, has captured the beauty and mystery of the outer Cape Cod dune shacks. Take a journey across the landscape of Truro & Provincetown, over a three-and-three-quarter mile stretch, to visit the nineteen existing dune shacks remaining in the Cape Cod National Seashore. Many have spied these enigmatic places from afar on commercial dune tours, or hiked around them from The Great Beach or Snail Road. This collection of photographs will take you inside these rustic dwellings for a rare glimpse of shack living. View vintage images of some shacks back to the 1940s, graciously shared by the Cape Cod National Seashore. Each shack is discussed, along with a brief history… and an anecdote or two. It’s an entertaining & informative presentation for all ages.